This is such a pretty cabochon! 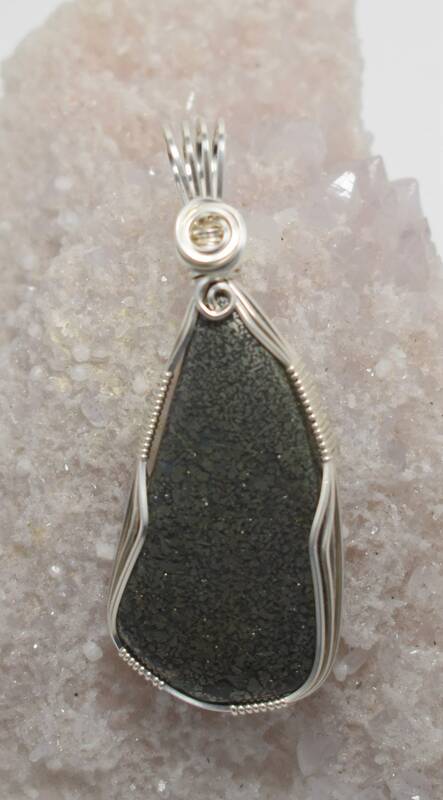 It has sparkly gold flecks all through the black matrix; very eye catching! 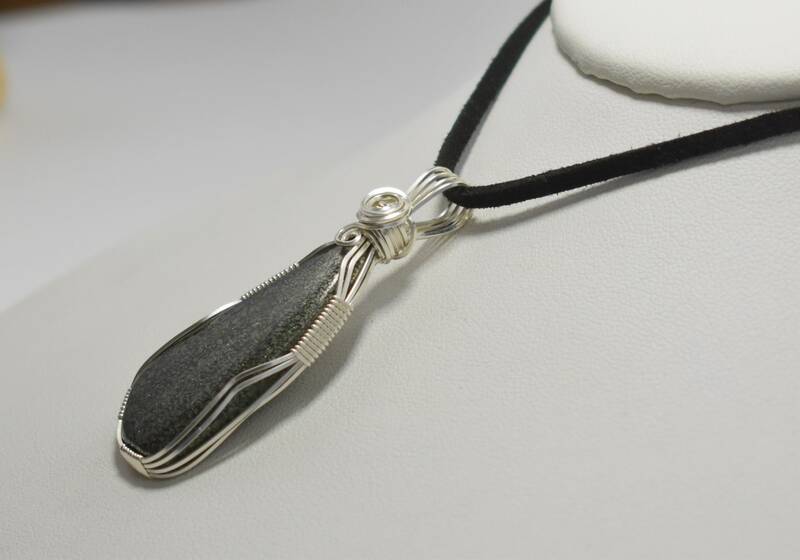 I wrapped it in Sterling Silver Wire and paired it with a black suede cord. 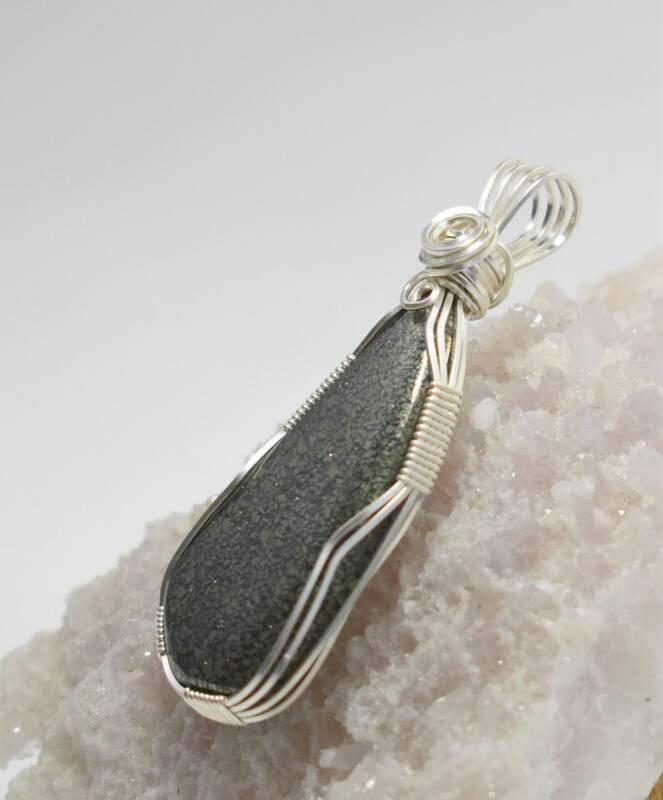 Marcasite is almost indistinguishable from Pyrite, differing only in it's crystal structure. 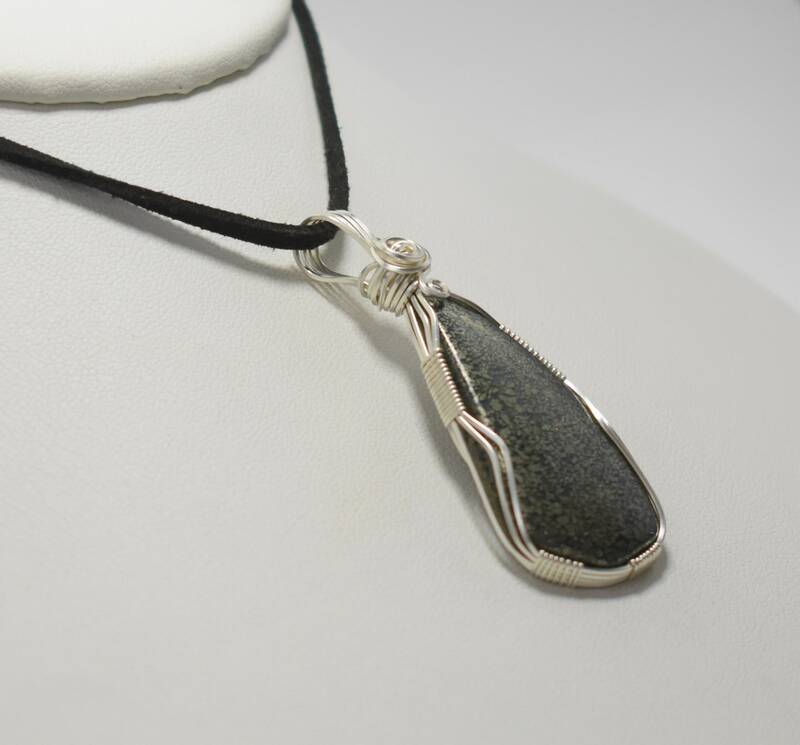 Metaphysically, it is used for powerful meditation. 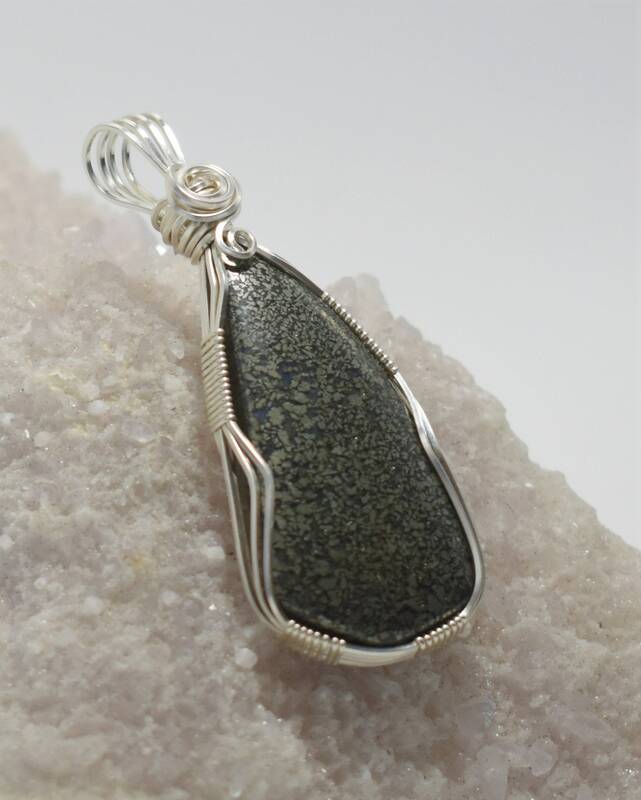 Marcasite aids in introspection and tends to resonate more strongly with higher, more spiritual chakras. 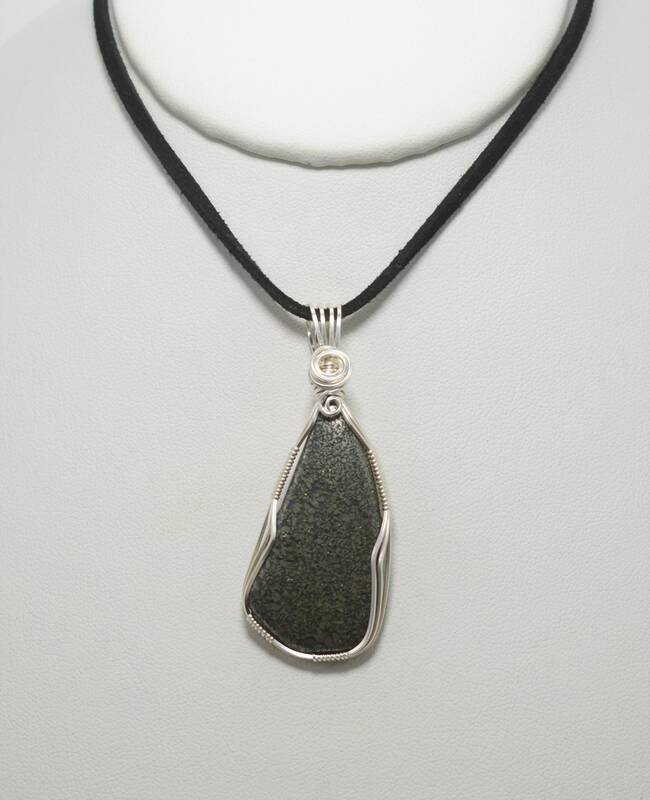 According to many beliefs, marcasite is a talisman associated with wisdom, courage and expression.